The Youngstown State University Swimming and Diving team will plunge into the final stretch of the regular season on Friday traveling to Loretto, Pennsylvania, for the YSU Tri-Meet at St. Francis, Pennsylvania. The last leg of the season contains three meets including the Tri-Meet, as well as at Ohio University beginning on Jan. 26 and at the Butler Invitational on Jan. 27. Following the meets in January, Horizon League Championship conference play begins on Feb. 13. The Penguins recently returned from a 10-day training trip in Florida, one that not only helped the team physically but also mentally. “Once we started to see how close conference is and how hard we needed to start training for that, I think we all got into more of a competitive mindset and we help push each other while we were there,” freshman Mallory Pitstick added. Pitstick competes in the 100-meter and 200-meter breaststroke, while also competing with the team in relay events. 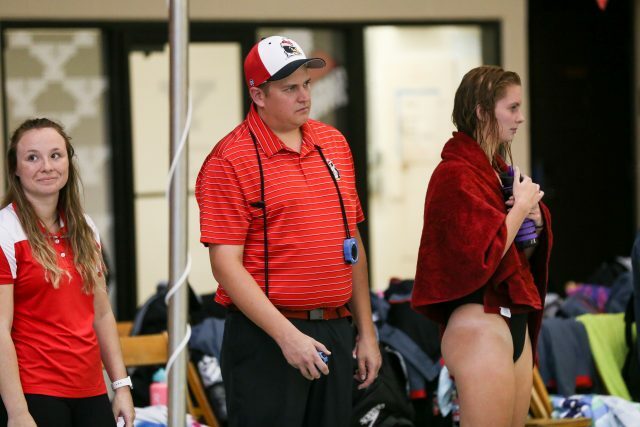 Coach Purdy, now in his second season as head coach, said he believes the upcoming stretch of meets will be a good test in preparation for the Horizon League championship tournament. 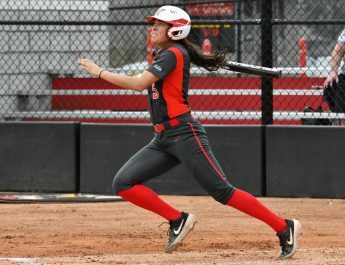 Purdy took over the Penguins’ program in May 2017, posting a 7-6 dual record, the team’s first winning season since 2002, according to YSU Sports Information. Prior to Youngstown State, Purdy was an assistant coach at the University of Minnesota, where the Gophers had three top-10 NCAA finishes. Tapering is a time when the swimmers get an extended period of rest to rebuild their muscles, before the most important part of a long season that began in August. This is when the Penguins will begin to scale-back its normal routine of 15 to 20 hours per week of training. Youngstown State finished in seventh place with 243 points at last season’s Horizon League Championship tournament. The conference championship went to the Oakland University Golden Grizzlies who finished in first place with 687.5 points. “I’ve always dreamed about going to conference and I think Ryan and Kate [Johnson] (assistant coach) have both done such a great job to prepare us. I’m just really excited,” Pitstick said. The Penguins hope do to laps around last year’s finish and become ever-closer to winning the Horizon League swimming and diving championship. Conference play is scheduled from Feb. 14 through Feb. 16 in Indianapolis.